Some photos have surfaced online, of some people who are alleged to be Bobrisky’s family. 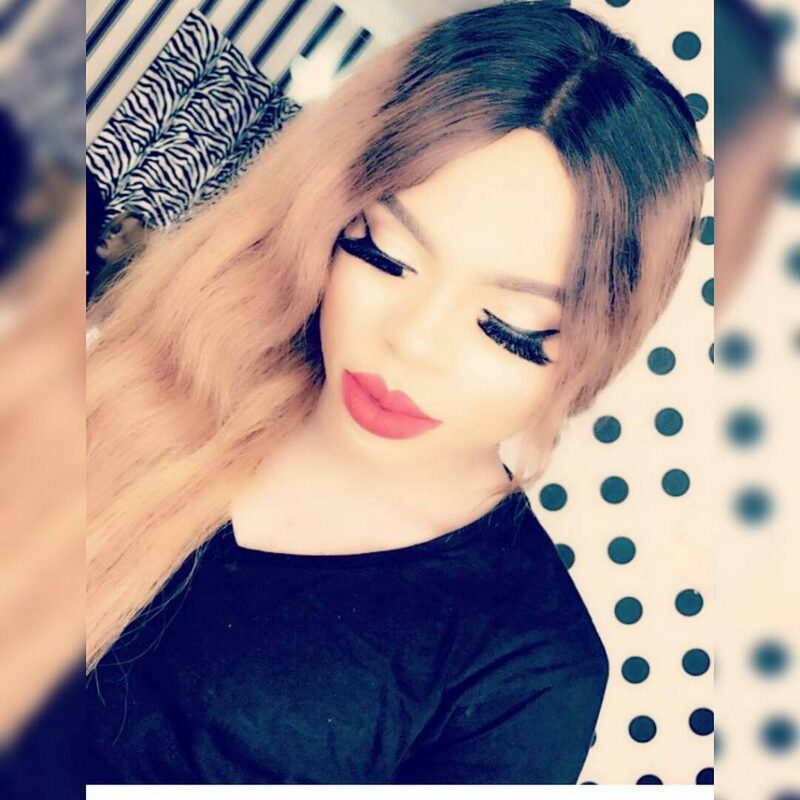 Popular cross dresser, Idris Okunenye, known as Bobrisky, is known for his social media banters but nothing is known of his family. Fond of talking about his ‘bae’, whom he claims is responsible for his luxurious lifestyle, the cross dresser never mentions his family. Because homosexuality is unacceptable in Nigeria, many wonder if his family approve of his lifestyle. Some pictures have however, surfaced online of people who are alleged to be members of his family. Though it is not confirmed yet, these people are said to be his mother, sister and brother.